But I have a problem with making pancakes: the sticky, sometimes gummy batter seems to get everywhere. Plus, by the time you're done enjoying them, there's a ton of dirty dishes to clean—which is way more work than needed for a pretty simple breakfast. Well, not anymore. You can cut down on all the unnecessary mixing bowls and utensils by doing the dirty work in a plastic ziplock bag. Plus, a ziplock bag makes it easy to add batter to your pan or griddle, and gives you full creative control to shape your pancakes into edible works of art. Choose your favorite pancake recipe (everyone has a go to flapjack recipe), and add all of your dry ingredients to a ziplock bag. Shake the bag to make sure the ingredients are well mixed. 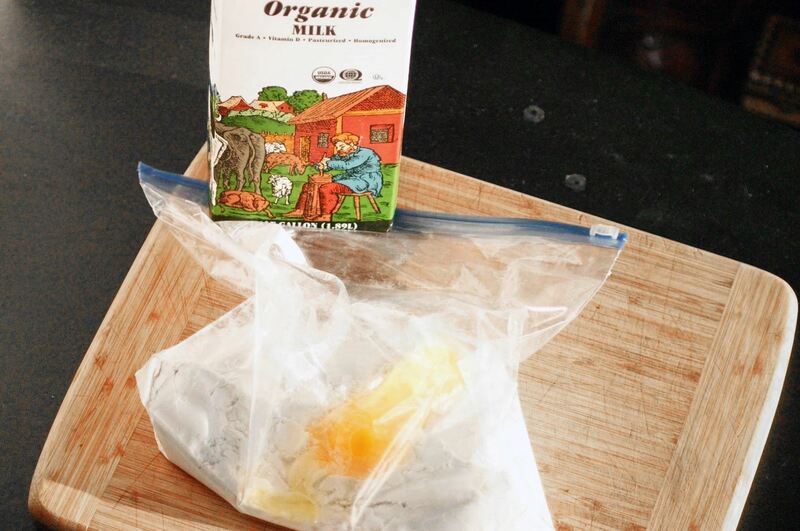 Next, add any wet ingredients, such as milk, soy milk, eggs, oil, or applesauce. Lock the bag, and then massage the mixture from the inside until everything is well mixed and there are no clumps remaining. Now you have a perfect pancake batter. With the batter ready to go, cut off one of the tips of the ziplock bag—but don't cut off too much, or you'll have a hard time controlling the pancake batter. Just cut off a little tip, and then the ziplock bag will work just like a pastry piping bag. 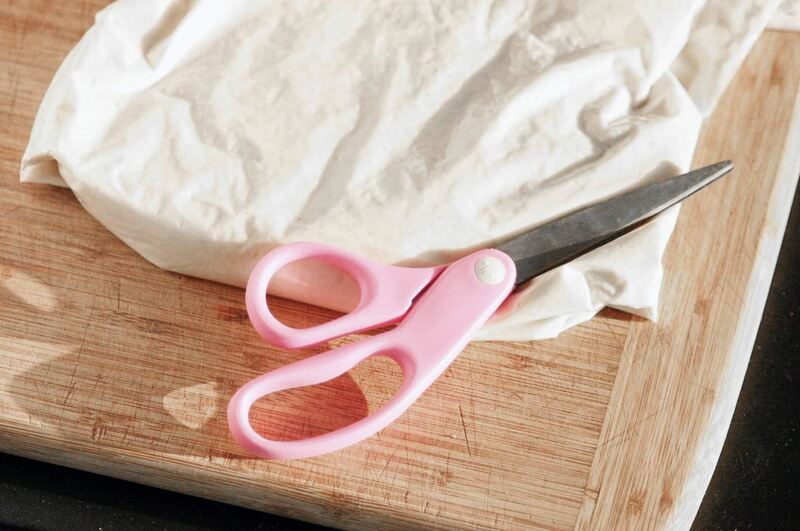 Fun fact: most professional bakeries use plastic bags instead of piping bags because it makes less mess. Pipe the pancakes into your pan, and you've got easy, delicious, mess-free pancakes in minutes. It's really that simple. There's less dirty dishes to clean, and you can make cool pancake shapes or designs with the "piping" bag. 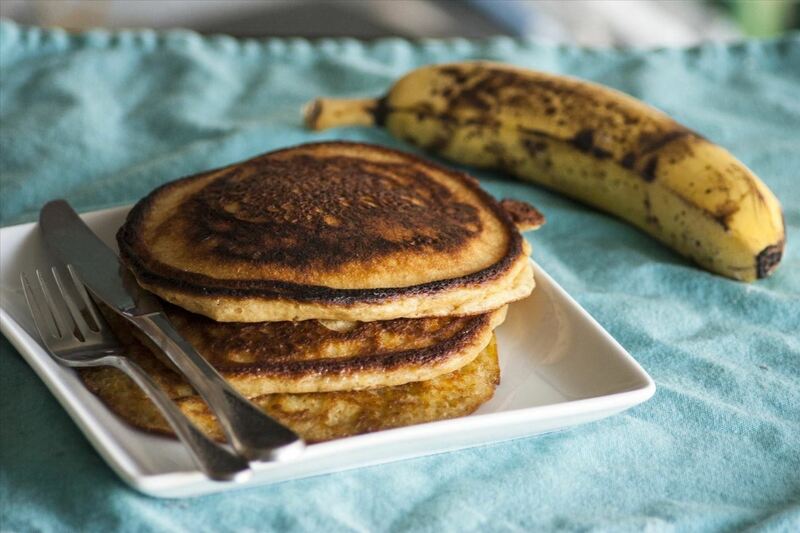 Check out Food & Wine's video below to see this pancake hack in action. Now you won't have to spend your Saturday mornings scrubbing pancake batter off of bowls and utensils. When you're done making your pancakes, simply throw the bag away and the mess is handled! 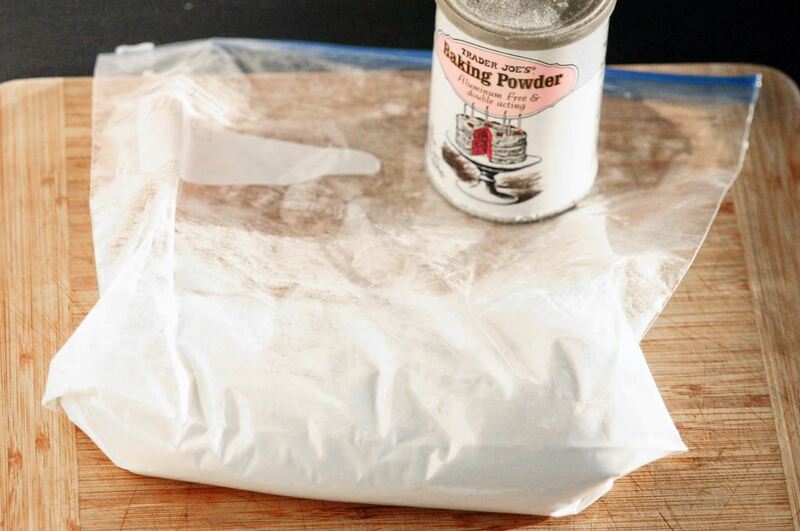 To save even more time in the morning, you can mix the batter the night before, store in the refrigerator overnight, and then just take it out when ready to use. Don't Miss: You Can Use Ziplock Bags for Mess-Free Muffins, Too! Batter gets everywhere? Ton of dirty dishes? Really? You must be extremely vigorous in your pancake making! I usually have to wash one mixing bowl, one whisk, one measuring jug and a ladle. The other stuff (pan/hotplate, dishes spoons etc, you have to wash, however you cook your pancakes. Also, sorry, but those pancakes are burned to hell. Oh and the video. I don't see how having all the ingredients in separate measuring containers is saving washing up.